Prosecco DOC is the king of taste! Try it in our new combinations and let yourself go with original cocktails that will never fail to delight. Danilo Cortellini, head chef of the Italian Embassy in London, prepares for us a fresh and tasty cocktail, ideal to start the evening. You can mix this cocktail directly into the glass. 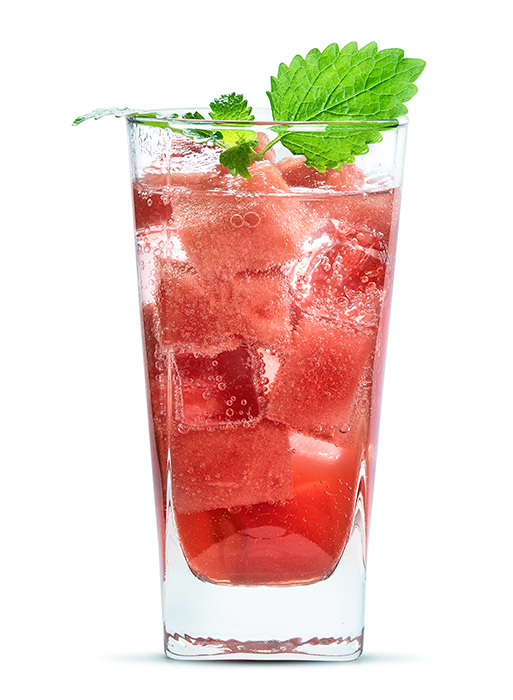 Fill the glass with ice cubes and add de-stoned cherries and the slices of fresh ginger. Pour the cherry liueur into the glass and stir well. Now add the soda water and the Prosecco DOC. 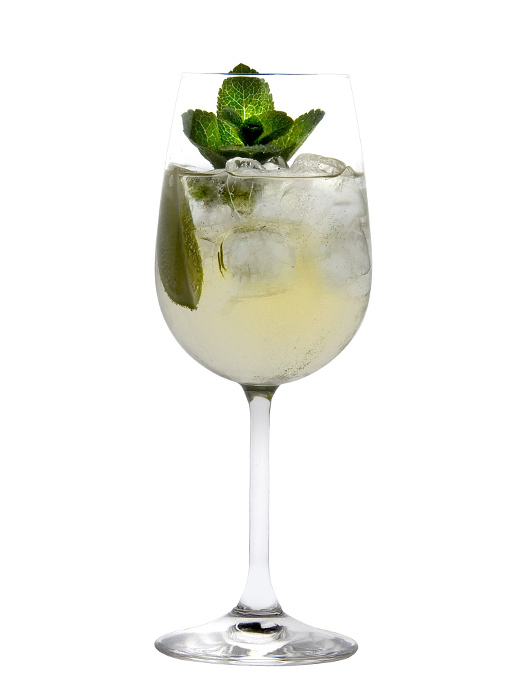 Stir gently to avoid losing all the lovely bubbles and garnish with fresh mint. 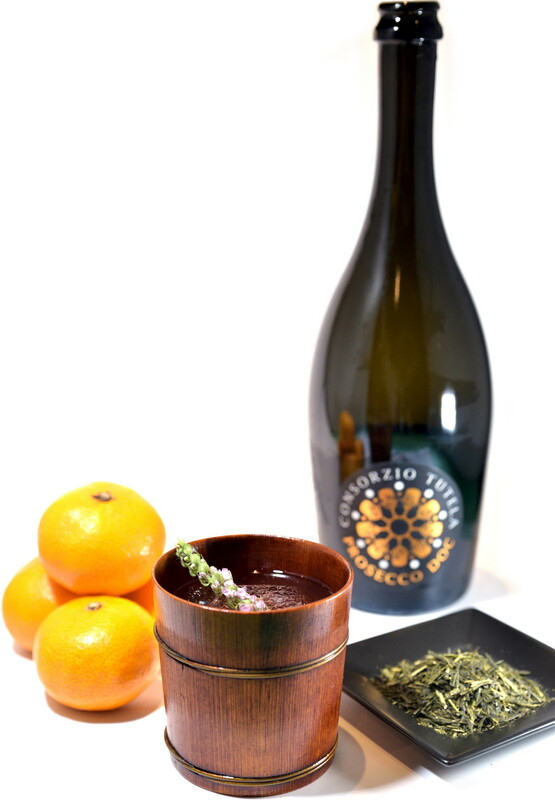 Bartender Hiroaki Nagashima suggests this cocktail thanks to its versatility: just try to change the quantity of the ingredients and the Prosecco Old Fashioned will be perfect both as an aperitif and as an after-dinner. Add the ingredients in a shaker and shake well. 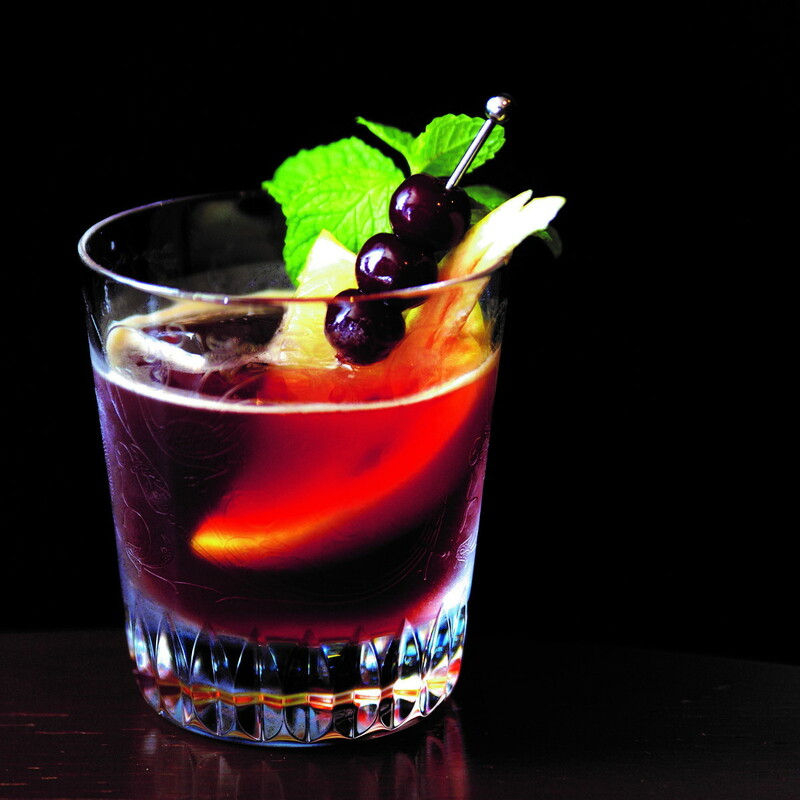 Serve in a old fashioned glass and garnish with orange, orange peel and cherries. 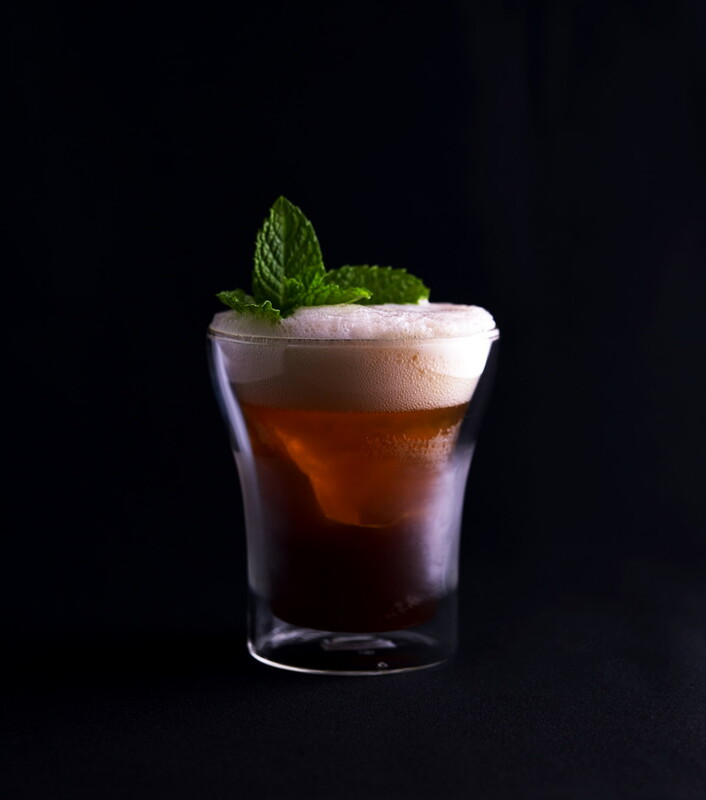 Coffee bitterness and raspberry sweetness in a balanced cocktail by japanese bartender Hiroaki Nagashima. Mix well the ingredients and pour them into a glass with crashed ice. Garnish with fresh mint on top. 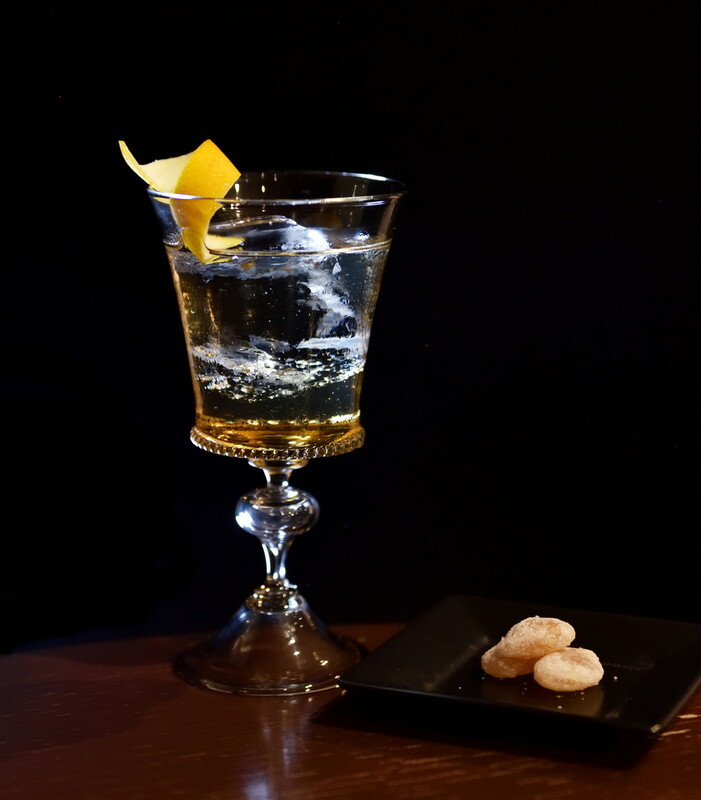 A creation by bartender Hiroaki Nagashima that combines Italian and Japanese culture. Campari and coffee are typically Italian, whereas in Japan bitter and astringency are always given by green tea. Filter the green tea with a moka. Mix all the ingredients and shake well with some ice. Serve in a Japanese tea cup. Garnish with shiso flowers. 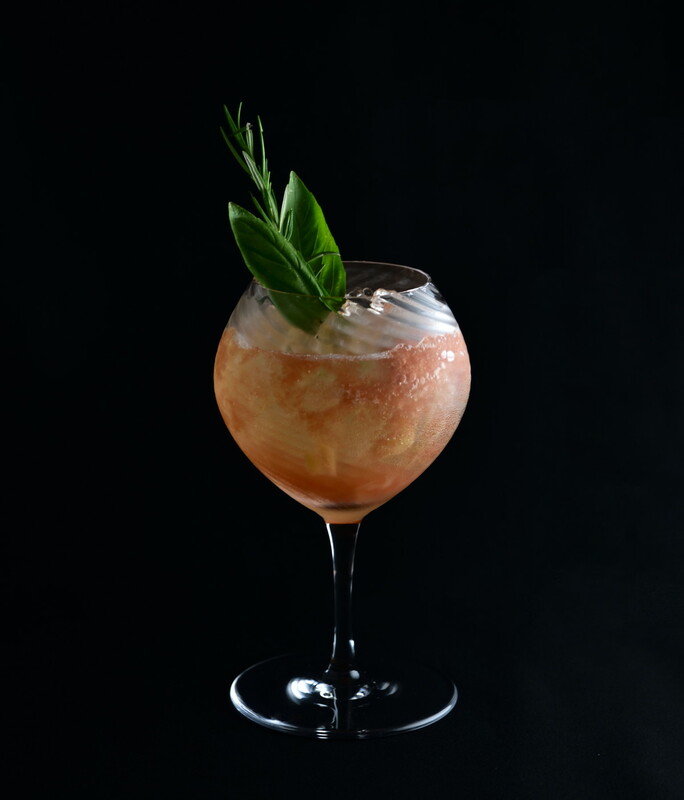 A creation of the Japanese bartender Hiroaki Nagashima, the Godfather sbagliato is a new version of the classical cocktail prepared with whiskey e Amaretto liqueur. Prepare directly in the glass with ice. Garnish with a grapefruit peel. A new creation by the innovativeJapanese bartender Hiroaki Nagashima. Mix well all the ingredients and pour them in a wine glass with crashed ice. Garnish with fresh basil and rosemary on top. 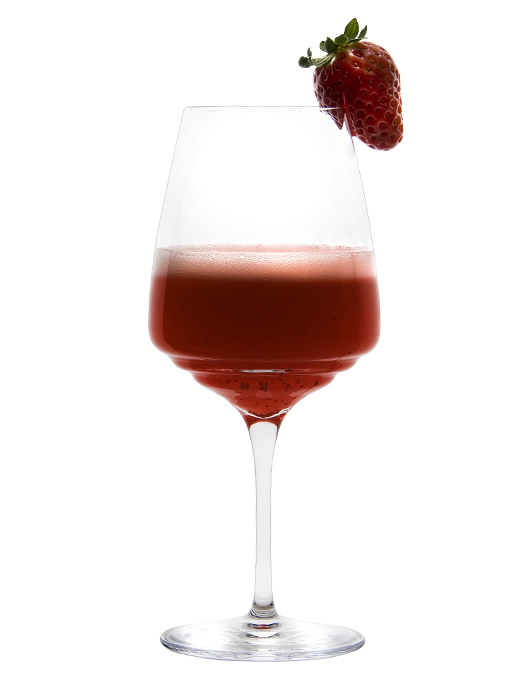 An experimental composition with a structured flavour, a cocktail for sophisticated palates. 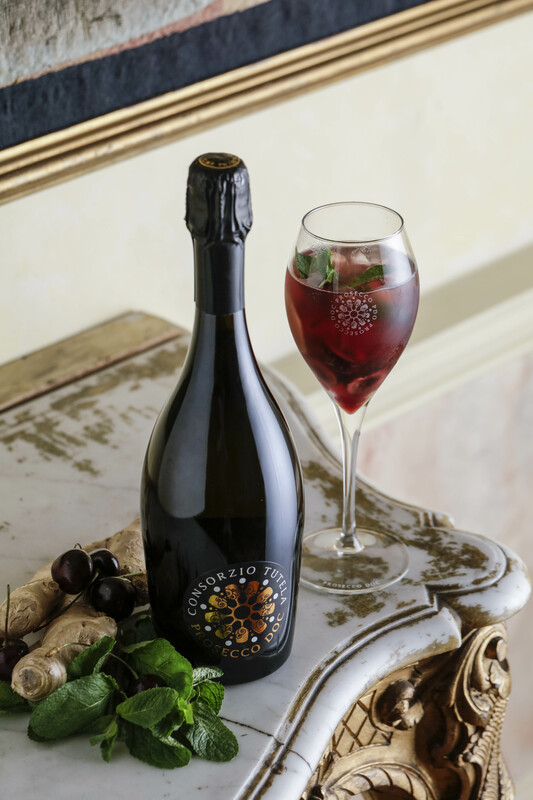 Pour a serving of chilled Prosecco DOC into a flute. Then pour in the smoke essence and mix gently with a barspoon. 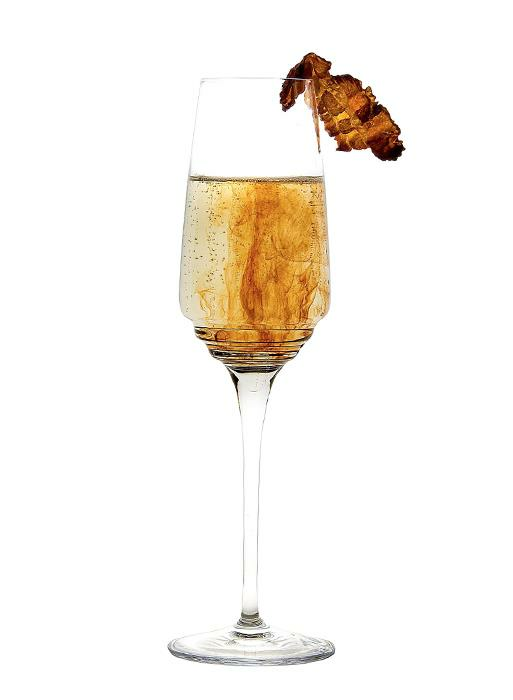 Top the drink by placing the bacon on the rim of the glass. An original recipe from young mixologist Riccardo Semeria, who travelled the world before joining the Molino Stucky Hilton in Venice. Pour straight into a wine glass with ice and garnish with a slice of pink grapefruit. 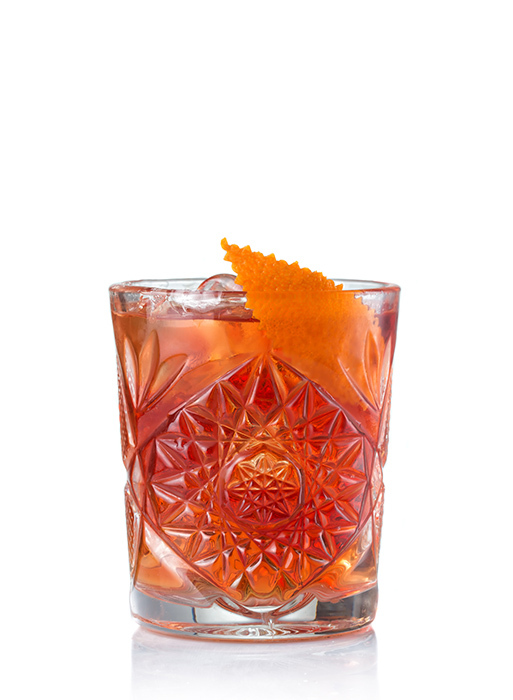 Rumour has it that the MI TO VE (or Negroni Sbagliato) was created in the 60s, in the famous Bar Basso in Milan, by bartender Mirko Stocchetto. Whatever its true origins are, its popularity has spread throughout the Triveneto area over the years, always with the distinctive use of Prosecco instead of gin, setting it apart from the bitter Florentine Negroni. For the Campari jelly: prepare the jelly separately at least 2/3 hours before serving, combine 400ml of Campari with 100ml of sugar syrup and gelatine leaves to make about 15/16 servings. 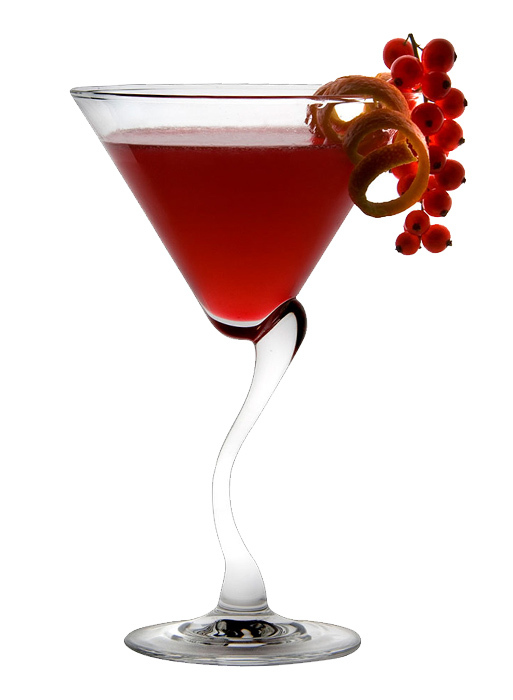 The Cosmopolitan made its debut in 1927 when it was served by Scottish barman Harry MacElhone. However, the recipe was very different from the one we know today, with the modern Cosmopolitan coming along in the 60s. Pour the lime juice, cranberry juice, vodka and cointreau into a boston shaker with plenty of ice and shake vigorously. Pour the mixture into a cocktail glass and finally top with Prosecco Doc, taking care to mix it all together very gently. 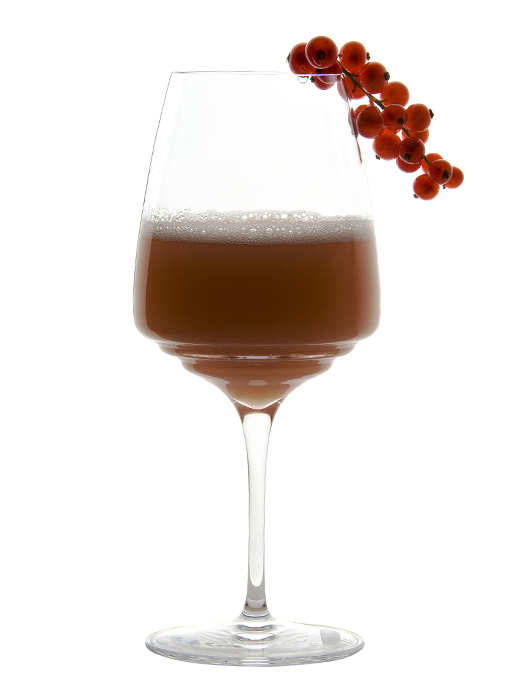 The story goes that the Bellini was invented in 1948 by Giuseppe Cipriani, the bartender at Harry’s Bar in Venice. The original recipe for the cocktail uses pureed peaches from Verona. Prepare in a mixing glass or straight into the glass, stirring gently. The peach can be replaced by any other seasonal fruit. The spritz was born in the nineteenth century, but the Germain Spritz came about later, revolutionizing the traditional Spritz. It has recently become very popular. Pour the Prosecco DOC, wheat beer and Select straight into a flared white wine glass with plenty of ice. Stir gently with a barspoon and serve with a slice of orange. You could call this a new cocktail. Its success may be due to its exquisite floral touch, which makes it absolutely unique. Pour a serving of chilled prosecco DOC into a flute. Then pour in the violet cream and mix gently with a barspoon. Finally, garnish with violets for a finishing touch. The Hugo was born in Alto Adige and spread quickly throughout the Triveneto area. 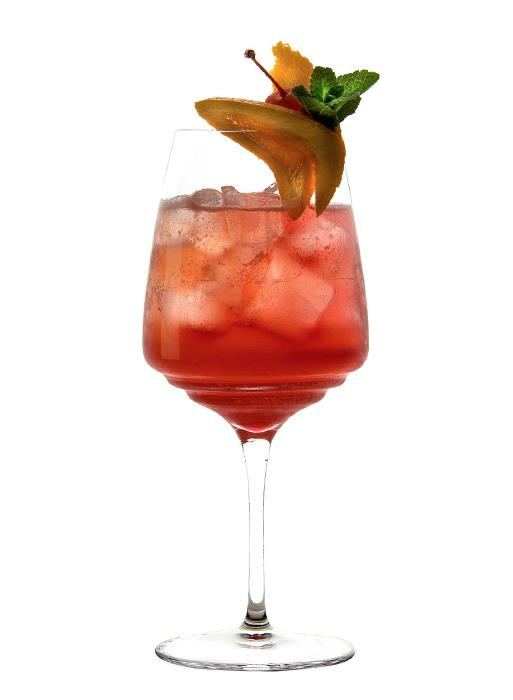 It was invented in 2005 by barman Roland Gruber, as an alternative to the Spritz. The name was chosen by its inventor, who initially chose Otto, but it didn't seem right so he changed it to Hugo. 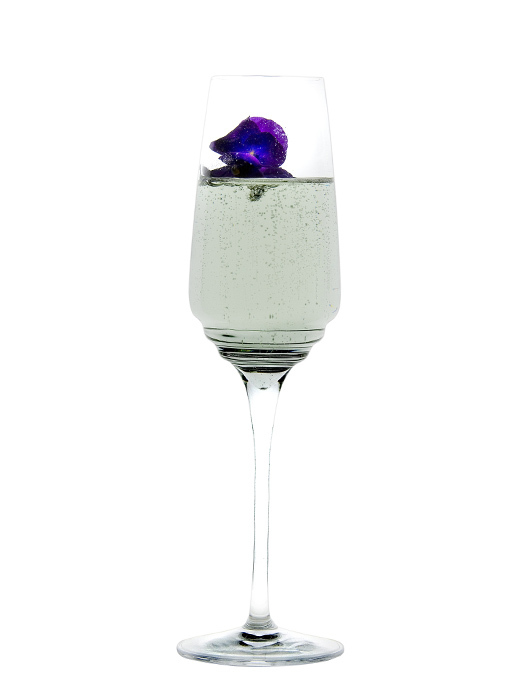 Pour the Prosecco DOC, elderberry syrup and soda straight into a flared white wine glass with plenty of ice. Top with the mint leaves and stir gently with a barspoon. There are many versions of the Spritz, each with a different flavour. The St. Germain Spritz is now one of the most popular versions and there are several different types. 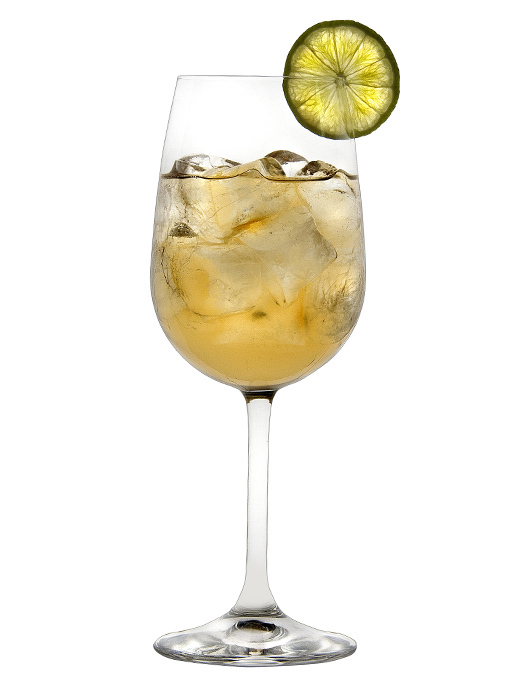 Pour the Prosecco DOC, St. Germain and soda straight into a flared white wine glass with plenty of ice. Finish with the bitters and stir gently with a barspoon and serve with a slice of orange. Pour the Prosecco Doc and then the fresh strawberry puree into a mixing glass with plenty of ice. Mix everything together very gently with a barspoon and serve in a glass flute.